Tiger Force Hand Painted Prototype Tiger Cat! 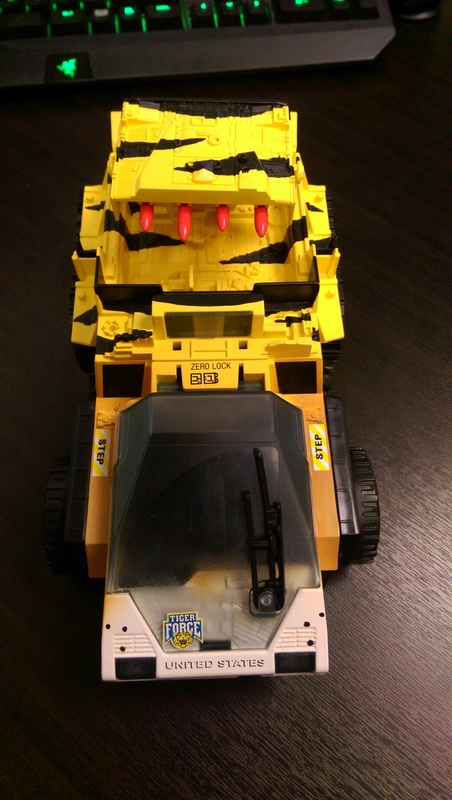 Here is another unique 1 of 1 GI Joe Tiger Force prototype, the Tiger Cat! 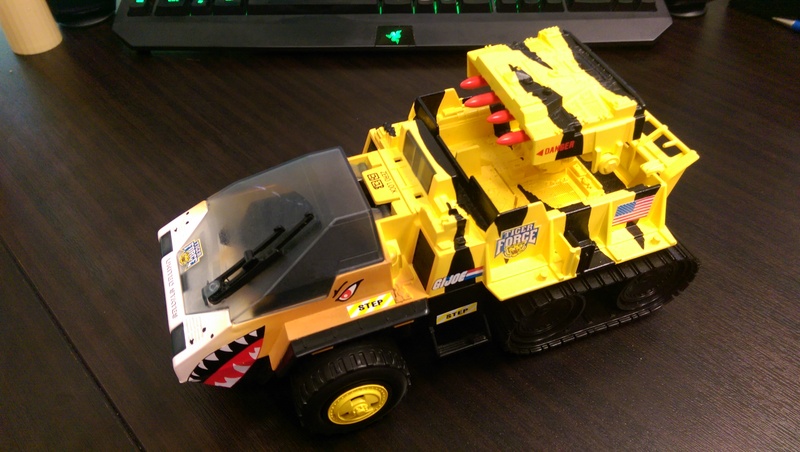 Notice that the “Tiger Force” stickers used are actually slightly different than those used on the released vehicles with the yellow outlining. Categories: New Joes, Prototype | Tags: A Real American Hero, G.I. Joe, GI Joe, prototype, Tiger Cat, Tiger Force | Permalink. GI Joe Tiger Force Tiger Ray Prototype! I have been pretty quiet on the blog for a few months, part of that has been moving into a new house and getting ready for my second kid arriving in two weeks. But another reason that I haven’t been updating the site with new finds is that I had been holding off and saving up for a potentially huge deal. I didn’t want to tease it, because early on, I was really unsure if it would end up working out. But in the end it did and I couldn’t be happier! I picked up a huge run on GI Joe Tiger Force prototypes, including my holy grail, the one and only prototype Tiger Ray. 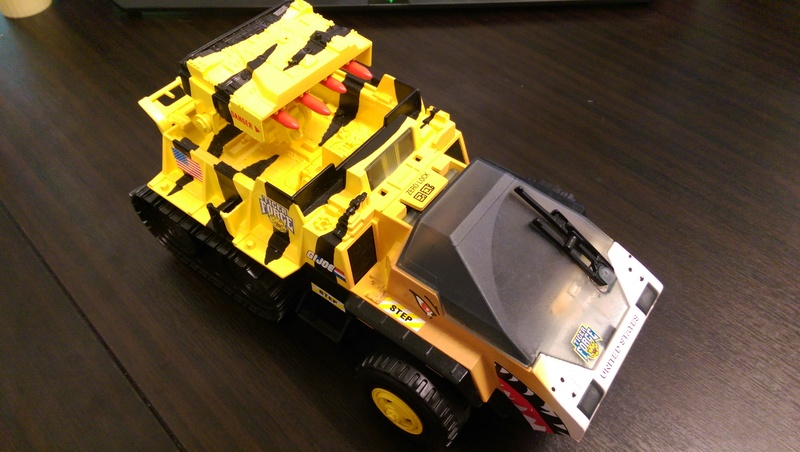 This is the actual vehicle that was teased in the GI Joe Discussion group. When I first saw it I knew that if I ever had the chance to buy it, I would do everything I could to make that happen. I was not only able to acquire the Tiger Ray, but several other amazing Tiger Force Prototypes, that I will share in the upcoming days. Enjoy the pictures! Categories: Prototype | Tags: G.I. Joe, GI Joe, prototype, Tiger Force, Tiger Ray | Permalink. Prototype Week Day 4 – 3 for 1 Special! Arctic Edition!!! Well, I decided to change things up once again, and post 3 recent buys (two of which are still in the mail). These prototypes are all modern, Rise of Cobra cancelled/prototype figures and they all happen to be arctic themed! 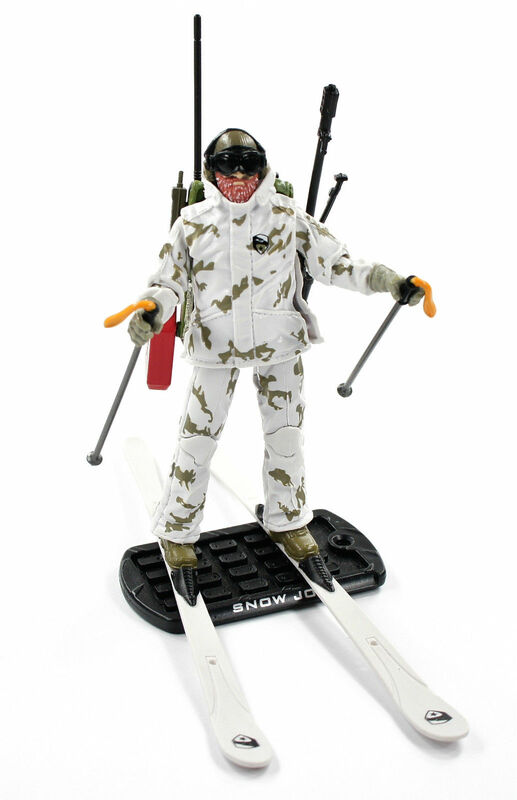 First, we have the ROC cancelled Snowjob; it is the same as the POC release except for the ROC insignia on his jacket and skiis. 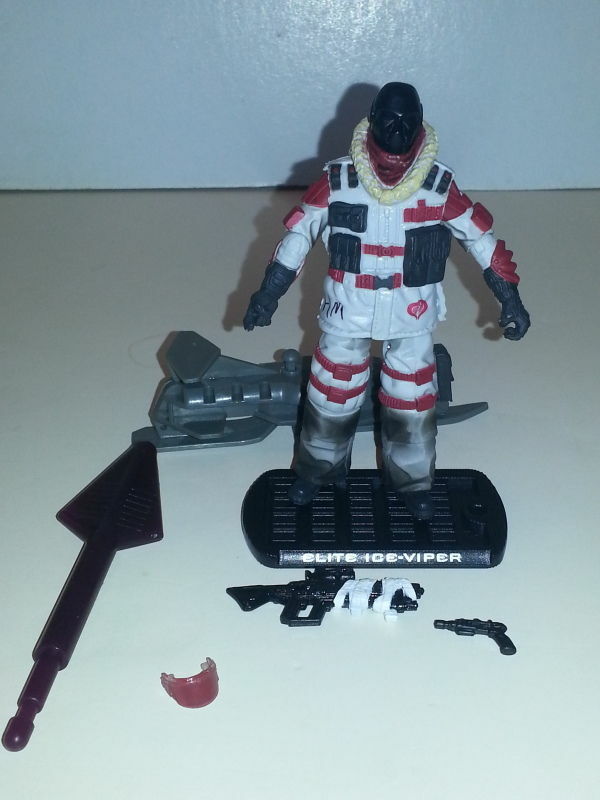 Second, is the ROC cancelled/prototype Elite Ice Viper in the unreleased alternate paint scheme. This figure also comes with the “HM” mark on it. 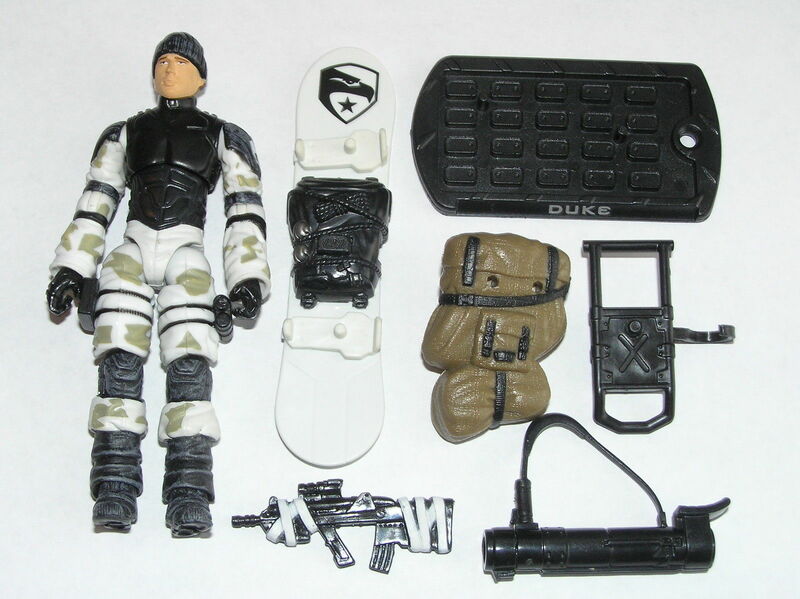 Third, we have the unreleased/cancelled/prototype Arctic Assult Duke! Sadly, I wasn’t able to find one with the vest, but the POC Snowjob vest makes a suitable replacement. I actually bought the Arctic Duke and Ice Viper today (lunchtime and eBay are a dangerous proposition), because the Snow Job came in and I liked it so much I thought I should get a few more from that same era. These were all pretty affordable – not like the Arctic Alpine, or Arctic Snake Eyes (the blue unreleased version) which are $250-500+. Categories: GI Joe News, New Joes, Prototype | Tags: G.I. Joe, GI Joe, prototype, Rise of Cobra, Snow Job | Permalink. Prototype Week – Day 3! Instead of another test shot today, I wanted to show you guys that is actually not a GI Joe product, but I think it is related. 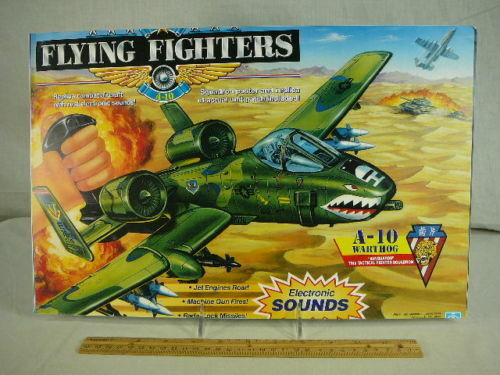 Today’s reveal is a Hasbro Flying Fighters A-10 Warthog sample box print. I also think that either GI Joe or the Flying Fighters also borrowed from one or another for the Ghoststriker X-16 as they seem to share very similar tooling. But I may be wrong. As a little bit more information, I was unable to find any A-10 Warthog that was actually produced. So this seems to be package art for an unproduced vehicle (I could be wrong though). For some further speculation, I think, and the reason that I picked this piece up, is because it would have shared tooling with the Cobra Rattler. Anyways, enough talk, enjoy the art! Categories: New Joes, Prototype | Tags: A-10 Warthog, Flying Fighters, G.I. 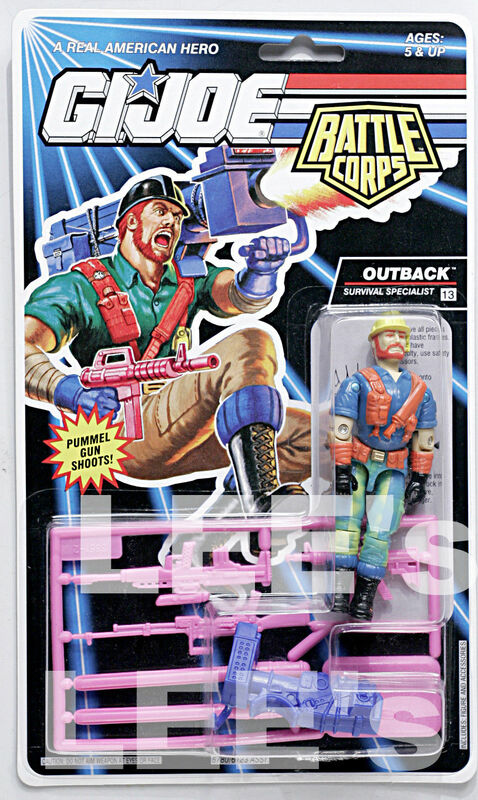 Joe, GI Joe, Hasbro | Permalink. Prototype Week – Day 2! For the second day of prototype week, and probably the next couple days, I will be revealing a test shot from the 90’s! Today’s figure is the 1993 Battle Corps Outback (either version 3 or 4 hard to tell since it is just a repaint variant) figure! It comes in a sealed bag with weapons on the tree. I really like all the different colors of plastic on this one. In addition to the figure being a prototype the weapons are colored in a neonish green while the weapons the retail version came with were red. Even the missile launcher has green plastic compared to the red retail version. 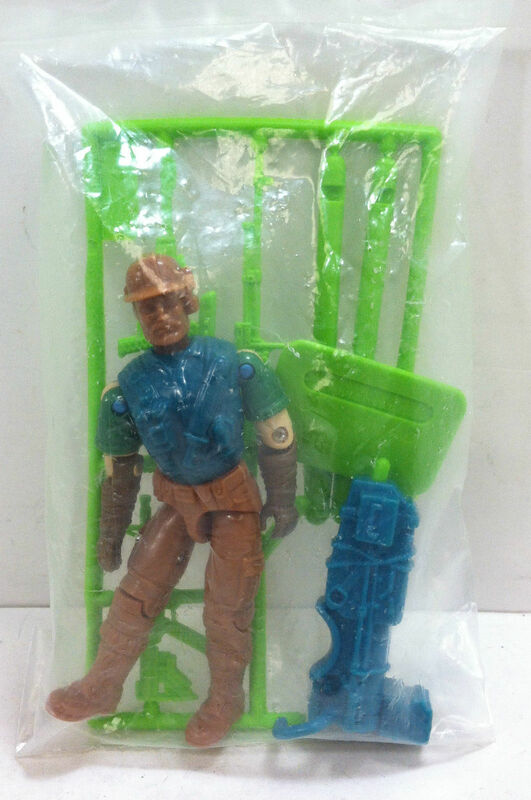 Categories: New Joes, Prototype | Tags: G.I. Joe, GI Joe, Leaky Suit Brigade, Mock Up, prototype | Permalink.